Get noticed! 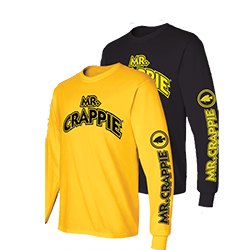 Mr. Crappie® Hi-Vis shirts are great for night time walking, bike riding, or kayak fishing in the dark. 100% cotton. Long sleeve available in gold or black only.